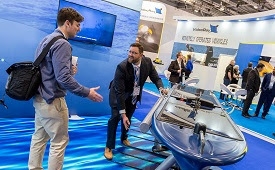 Oceanology International 2018 officially opened its doors today, and what an incredible show it’s been so far! Take a look back at what happened today in our Day 1 highlights video, and keep an eye out for the hashtags #Oi18 and #OiJourney to stay up to date with everyone’s Oi18experiences on your social media feeds. 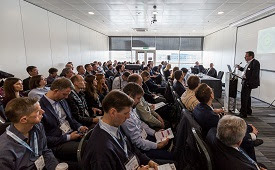 New to the show, make sure you don’t miss content provided in the Ocean ICT Theatre, focusing on the breadth of ocean data acquisition, transfer, storage and analytical technologies located around the exhibition. There’s still lots to look forward to in the conference tomorrow including the Blue Growth Update, Underwater Imaging & Metrology, Unmanned Vehicles and the New Technology Showcase. 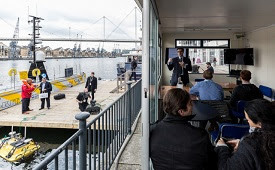 Make sure you don’t miss product demonstrations live on the Royal Victoria Dock, either on-board or from the covered dockside cabin.